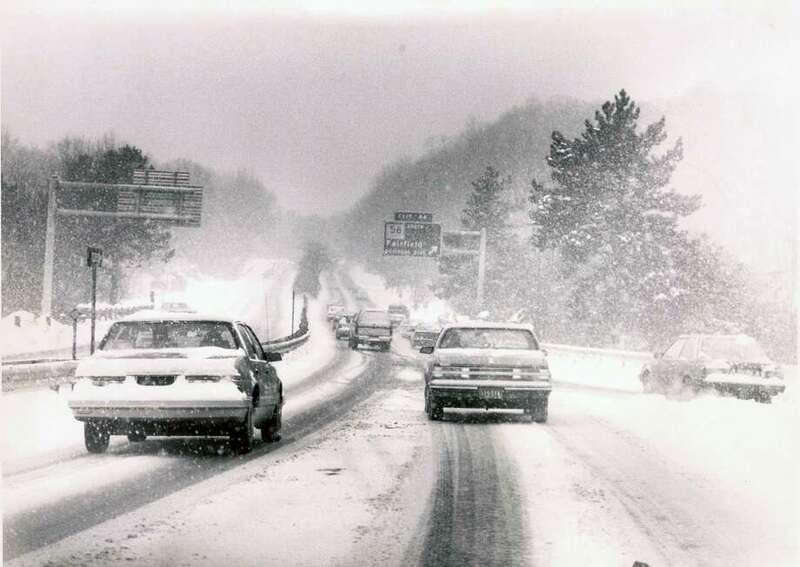 Snow in 1988 on the Merritt Parkway, right near exit 44, Fairfield’s lone exit on that roadway. Snow in Connecticut is a huge part of winter, and although not much snowfall has landed in Fairfield this winter, residents are prepared. The photo featured here is from 30 years ago, 1988, and shows snow on the Merritt Parkway, near exit 44, Fairfield’s lone exit on that roadway. Last week the Fairfield Museum hosted Dr. Jay Gitlin, history professor at Yale University and Fairfield Museum curator Laurie Pasteryak Lamarre for a discussion on the opening of suburban Connecticut. In 1938, the first year of its publication, Connecticut Circle magazine covered the opening of the Merritt Parkway, a devastating hurricane, and a transformative election on the brink of WWII. Covering the news, recreation, politicians, and above all—the achievements and products of our state, Connecticut Circle promoted the image of a bustling region with creative citizens and renowned institutions. Its readership included not only proud Nutmeggers, but potential tourists, and — the state’s Board of Realtors hoped — a potential move from New York City to an ancient colonial homestead made newly accessible via the Merritt Parkway or the New Haven Railroad. Copies of Gitlin’s newly published Country Acres & Cul de Sacs: Connecticut Circle Magazine from 1938-1952 are on sale at the Fairfield Museum Shop, open daily 10 a.m.-4 p.m.
One of Connecticut’s most famous blizzards was 100 years before that, the Blizzard of 1888. That massive snowfall took place later in the winter, from March 11 to 15, and up to five feet of snow fell. Strong winds created snow drifts as high as 15 to 20 feet.